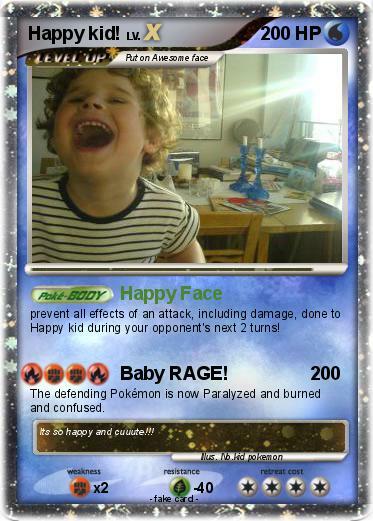 prevent all effects of an attack, including damage, done to Happy kid during your opponent's next 2 turns! Attack 2 : Baby RAGE! The defending Pokémon is now Paralyzed and burned and confused. Comments : Its so happy and cuuute!! !